Worked on in Photoshop. See still a possible tear that I neglected to fix. 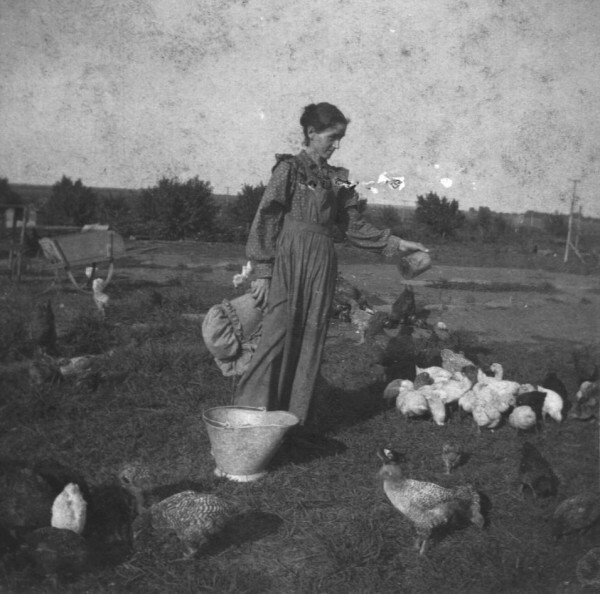 Photo of Pansy Noyes feeding chickens. 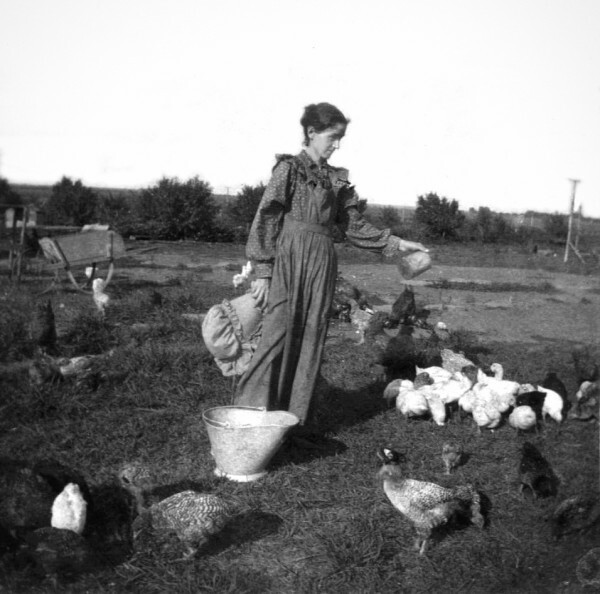 Born 1895 at Liberal, Barton County, Missouri, she was the daughter of Ray Noyes and Bettie Brewer Noyes.